Will she marry the wrong man? Julie Hayward was looking forward to a better year. Newly engaged with a photography career just starting to take off, her life is almost comfortable. The only thing she lacks is enough money to repair the family home. 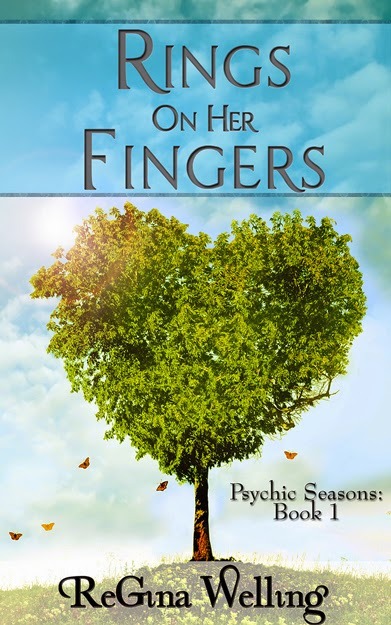 But, when her best friend, Gustavia, drags her to a visit with a psychic thinking it will be a fun engagement gift, things get really crazy. A ghostly encounter provides a cryptic clue to the location of the lost family fortune and a warning that her fiance is not what he seems. Launched on a wild adventure, Julie must learn to listen to her heart and her intuition to solve the mystery. Journalist, Tyler Kingsley gets drawn into the search. What red-blooded male could resist a treasure hunt? The idea gets his blood pumping and so does Julie. When he realizes that her fiance might be dangerous, he decides to protect her at any cost, even if he loses his heart.